Valentia Island was chosen as the point in Europe to connect the USA and Europe via the Transatlantic cable. This was a huge leap forward in communication and a mind blowing increase in the speed of communications between both continents. Before the Transatlantic Cable it took a ship 10 days approx to make the crossing on the Wild Atlantic. This approximation is based on ideal weather conditions. So one can appreciate that the weather and the time of year, therefore had a huge impact on the efficiency and on delivery. In the 1830s both Britain and the United States were carrying out various experiments on telegraphy. Samuel Morse was credited with the first practical use of telegraphy; when a message was sent from Baltimore to Washington. Hence Telegraph lines were appearing all over Europe and the United States. This prompted the question of the possibility of crossing the great Atlantic and joining Europe and the United States in 1845. Of course, there were many questions to answer before they could start implementing such lofty ambitions. It took 3 attempts in total to complete this amazing feat. It was in 1865 and in the year 1866 the first viable commercial communications commenced and Europe and America were finally connected. Transatlantic Telegraph cables operated from Valentia Island for one hundred years until the Western Union terminated its cable operations in 1966. The Tetrapod was discovered in 1993 by an undergraduate student on the coast of Valentia Island. This was a discovery of huge significance as the Tetrapod marked the transition of life from water to land, between 370 million to 350 million years ago. When one is on Valentia Island and cast an eye to the west you will see 2 amazing rocks in the distance. These of course are the world famous Skellig Rocks. The smaller on know throughout the world as the second largest gannet colony in the world and of course the bigger brother, which is none other than Skellig Michael. Skellig Michael is an UNESCO world heritage site since 1992. It os one of only 3 in ireland. This was once a monastic settlement and still to this day people travel in their thousands to see the settlement which is in impeccable condition. In the last years the Skellig has gained a broader appeal with the last Star wars movie being shot out there and there are many scenes that include the Skelligs in the up and coming Star wars movie. So we can see from the information we have shared Valentia island is punching well above its weight on a world stage. We w have a link here to Things to do on the Island. 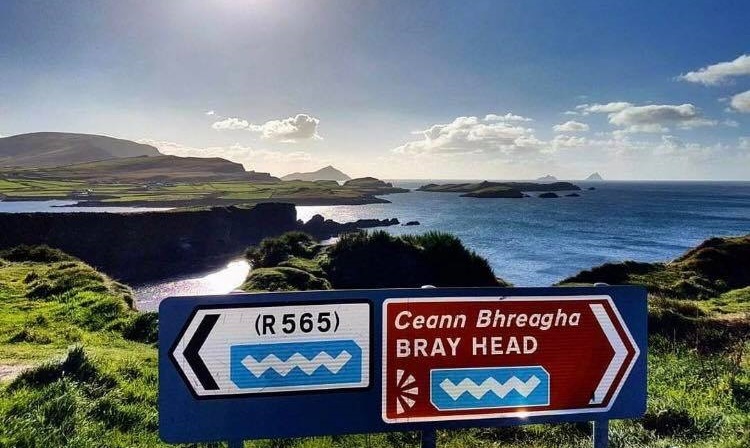 Keep in mind we here at The Ring Lyne can cater for all your needs to enjoy your vacation on Valentia Island please click here to book your accommodation.